As October 31st is fast approaching a lot of people start searching for the best outfit and the perfect Halloween gifts for their loved ones, friends, coworkers, teachers, boyfriends, girlfriends, and kids. We bet that you are too currently on the lookout for the best Halloween gift ideas for the people you care about. Because, who wouldn’t like a surprise gift this Halloween? 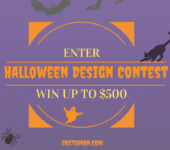 We invite you to take a look and shop fun, unique and, above all, creepy Halloween gift ideas from our independent artists, enthusiasts, and designers. They created these products with excitement for the Halloween spirit to become even stronger! Thanks to them, we have the scariest Halloween gift ideas for your husband or a boyfriend, for your wife or a girlfriend, your coworker, your kid, and the whole family! Read on to find the best Halloween gift ideas and make your holiday the creepiest ever. We’ve updated our chilling custom t-shirt collection just in time for October 31st . Now, it includes some ominous stylish lines of Halloween t-shirts for your wife, a boyfriend, or your teenager. And – good news – you don’t have to limit yourself on just one t-shirt for Halloween. Buy one for work, one for home, one for recreation, and one to sleep in. Then you need one more! Ultimate impact for Halloween night this 2017 doesn’t have to mean a full-on Halloween costume. You can achieve it with only one item that will draw the attention of your victims. Because we believe that you need to feel comfortable while spooking everyone around you, we prepared only top quality pieces. 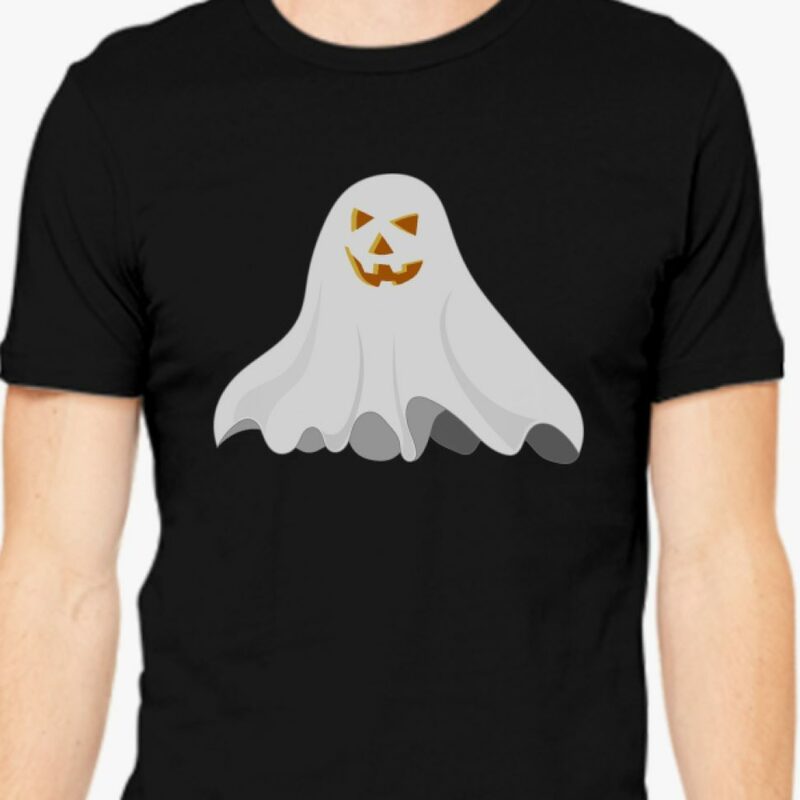 This Men’s Halloween t shirt is made of 100% fine ring-spun combed cotton, lightweight fine jersey exceptionally smooth and tight-knit, 4.3 oz., 100% ringspun combed cotton fine jersey, durable rib neckband, tubular, 10% polyester. Because fear knows no size, our designers made this Halloween Men’s t shirt available in sizes from Small to 4 XL. Our t shirts are designed and printed in U.S. in-house. Handling time is exceptionally fast 1-2 days, so you don’t have to worry about whether or not you’re going to make it for Halloween. You most definitely will. You can complement your Halloween 2017 experience with an apron, a coffee mug, a travel mug, or an iPhone case with the same design. However, you still need to look in order to decide, because there are more Halloween gift ideas to choose from. If you’re on the lookout for Halloween gift ideas for your girlfriend, we have a suggestion! 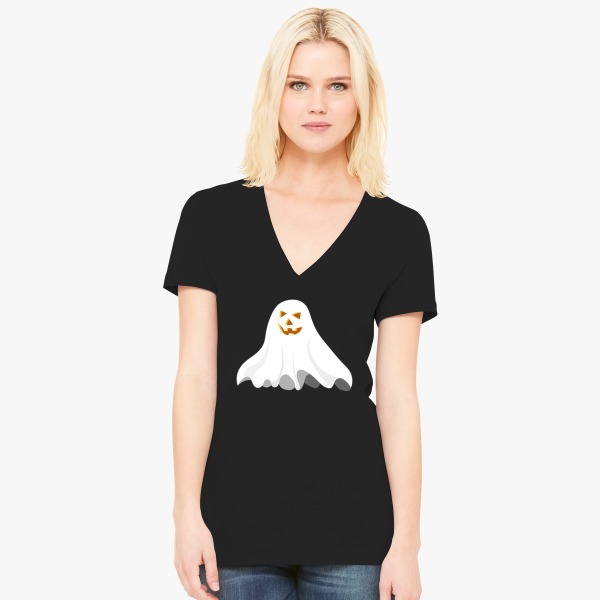 Surprise her with a lovely (but also scary :)) Halloween Women’s V-Neck T Shirt. This T Shirt is Her go-to tee that fits like a well-loved favorite, featuring a modern feminine fit classic V-neck. It is made of 4.2 oz., 100% combed and ringspun cotton. It features retail fit, fitted sleeves, side seamed Jersey short sleeve deep V-neck tee. For those that like to be funny for Halloween, our designers prepared Pumpkin Face – Funny Halloween Hoodie. 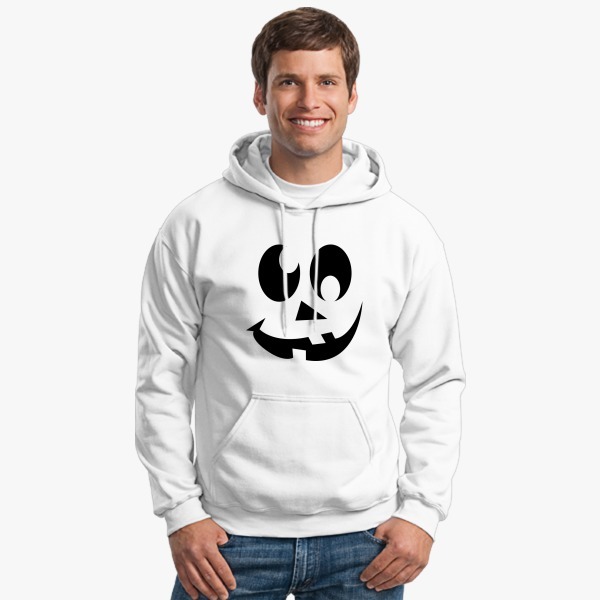 This hoodie that is not only a great idea for the Halloween but also for any other day, is made of 7.8 oz., 50/50 cotton/polyester, up to 5% recycled polyester from plastic bottles, bar-tacked dyed-to-match drawstring, cover stitched armholes and waistband, with a pouch pocket, rib waistband, and cuffs. The same design goes on men and women tank tops and t-shirts, sweatshirt, and zip-up hoodie, a baseball cap, snapback cap, and knit cap. Kids and babies can also wear this funny Halloween design on tank tops, hoodies, t-shirts, and onesies. Are you heading to a work party this Halloween? Waking up from the dead and not knowing what to wear to work for Halloween is a real terror nightmare, especially for your female coworkers. Make your favorite colleague’s undead life easier, make her calm and happy with this Women’s Racerback Tank Top. We prefer black, but you can decide to surprise and keep her calm and happy with a pink, blue, red, yellow, or a white tank top. When she arrives at the Halloween work party, she will feel really comfortable and warm, because our semi-fitted tank is 100% comfy and 100% layerable. It is made of 3.5-ounce, 60/40 ring spun combed cotton/poly. 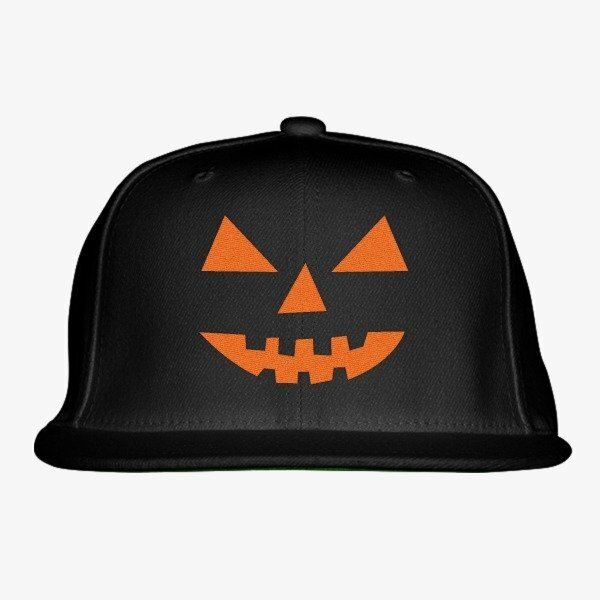 The Jack O’ Lantern Pumpkin Halloween Embroidery Snapback Hat features a classic shape and is made of 80% Acrylic/20% Wool. Other features are Camo colorway (60% Cotton / 40% Polyester), sizes – OSFA, premium wool blend, matching plastic snap, hard buckram, classic green undervisor. Keep in mind that we need 1 to 2 days to ship this hat to you, so you can plan your surprise! Dress up your kids in some of the cutest and the scariest t-shirts, hoodies, and onesies. 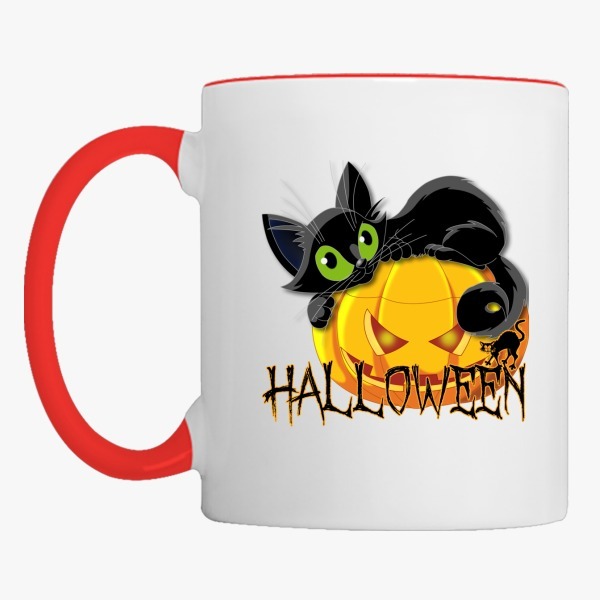 There are many Halloween gifts for toddlers and most of them are t-shirts featuring some of their favorite cartoon characters. However, and we believe that you agree with us on this, witches are the creatures that can spook the hell out of grownups even. 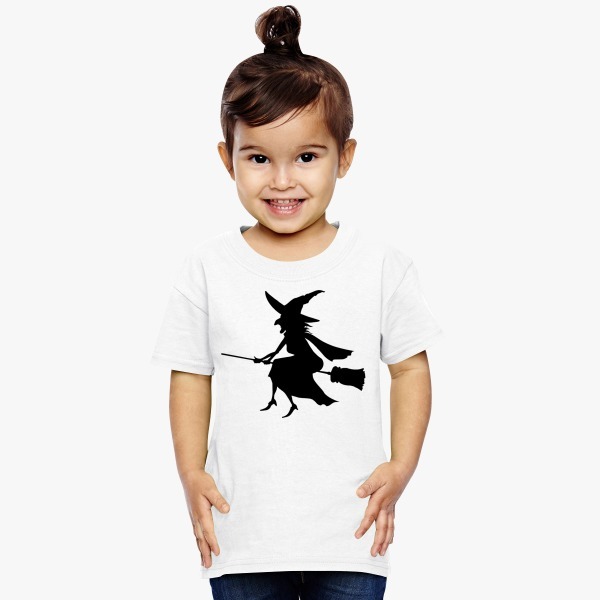 If you dress up your kid in this Halloween Toddler T-Shirt and convince her how much you are afraid of witches, you’ll have one of the funniest Halloween ever. Halloween Toddler T Shirt is made of 5.3 oz., pre-shrunk 100% cotton, 90/10 cotton/polyester and it features seamless topstitched three-quarter inch collar, tearaway label, taped neck, and shoulders, and double-needle stitched sleeves and bottom hem. Who is the best friend and the most faithful servant of any witch, even the scariest one? A black cat, of course, the second scariest creature of all! 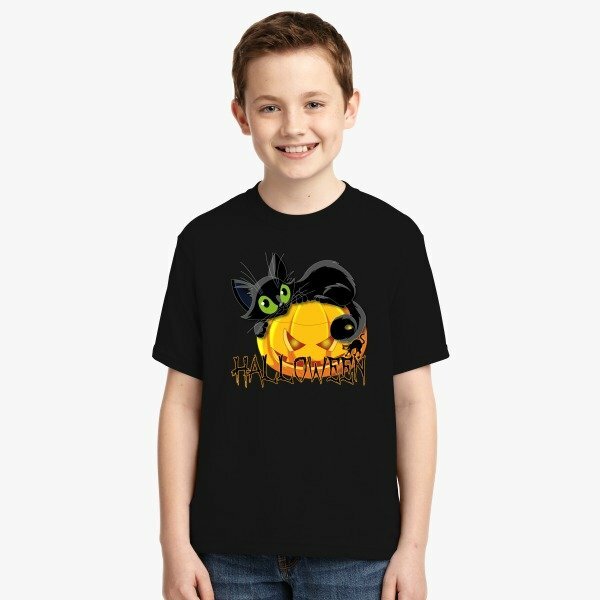 And this Halloween Black Cat T Shirt is one of the best Halloween Gift Ideas for the kids who are active and funny. Our ingenious artists came up with this amazing Halloween youth t shirt design and we took care of the fabric quality. It is made of 5.3 oz., pre-shrunk 100% cotton and sport Grey is 90/10 cotton/polyester. 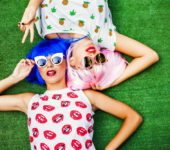 The t-shirt features a double-needle stitched neckline, quarter-turned, three-quarter inch collar, seamless collar, and shoulder-to-shoulder taping. You’re planning on to send your kid to trick-or-treat down your neighborhood and you worry about the possible low temperatures and cold winds on Halloween? No problem! This Halloween Kids Hoodie will scare the hell out of you and your neighbors, and keep your kid warm. 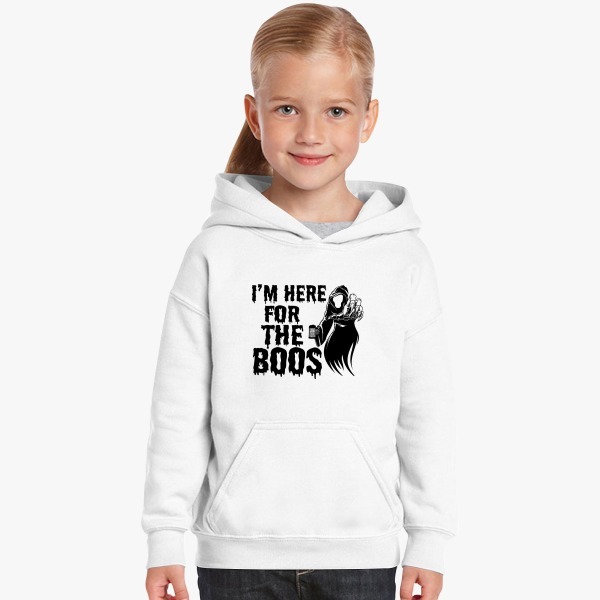 “I’m Here for the Boss” Halloween Kids Hoodie is made of 8.0 oz., 50/50 cotton/polyester. It features pill-resistant and softer air-jet spun yarn, double-lined hood, 1×1 athletic rib knit cuffs and waistband with spandex, double needle stitching at waistband and cuffs, and front pouch pocket, quarter-turned. Let’s face it – teachers are brilliant! I bet we all know how important they are to us and to our kids. If you’ve been looking for the best Halloween Gift Ideas for teachers, what would be appropriate, and how can you say thank you with a symbolic gift, you’re in luck! These Halloween gifts for teachers will show how much you appreciate their efforts, knowledge, and awesomeness! We know that teachers need to work a lot, constantly learn and prepare over and over again for the classes at school. Even when they’re not at school, they work to give more and better to us. This is why they probably drink coffee! I remember my teacher did to keep her focus and attention when she was tired but needed to continue work. Teachers also travel from home to work, for seminars, and other occasions. Why not make sure they are equipped with their favorite warm beverage even then? Teenagers need many things, but most of all, they need FUN! This is why our designers prepared these fun Halloween Gifts for Teens. Are you wondering how to keep your teen calm and happy on Halloween? No sweat! 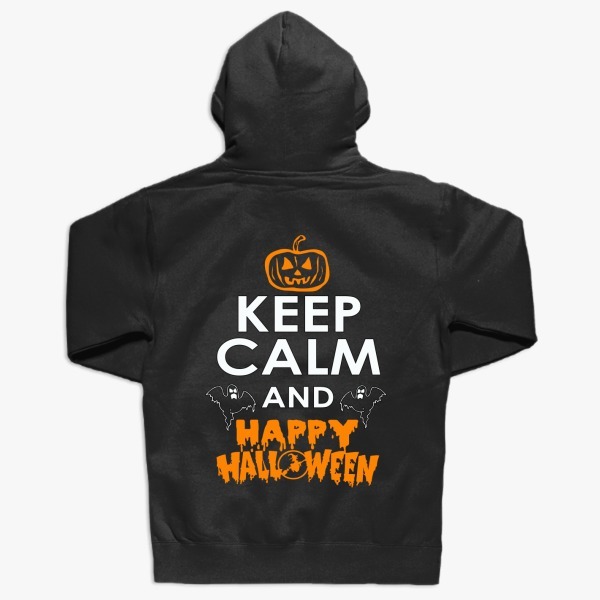 This Keep Calm and Happy Halloween Hoodie will do just that! Keep Calm and Happy Halloween Hoodie is a unisex product, made both for boys and girls and the sizes go from S to 4XL. The hoodie is made of 7.8 oz., 50/50 cotton/polyester, with up to 5% recycled polyester from plastic bottles, bar-tacked dyed-to-match drawstring, cover-stitched armholes and waistband, pouch pocket, rib waistband, and cuffs. Baseball t shirts are one of the teenage favorite pieces of wardrobe. They are comfy and practical. When created with a unique or fun message – even better! I’m Here for the Boss Baseball T Shirt is going to make your teen happy, we promise! I’m Here for the Boss Baseball T Shirt is a modern version of the traditional baseball raglan. Soft and lightweight, it is made of Poly-Cotton (50% Polyester/50% Cotton) and has a durable rib neckband and raglan 3/4 sleeves. Teenagers love their phones! In fact, they believe their lives depend on it. 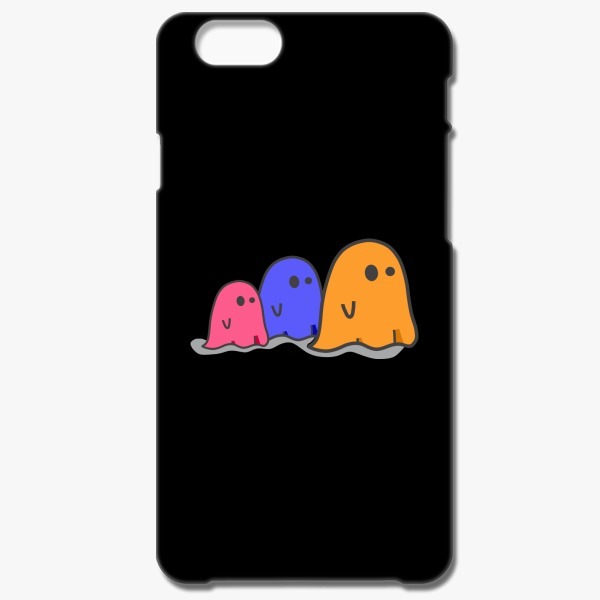 Why not surprise your daughter or a girlfriend with a cute iPhone Case? 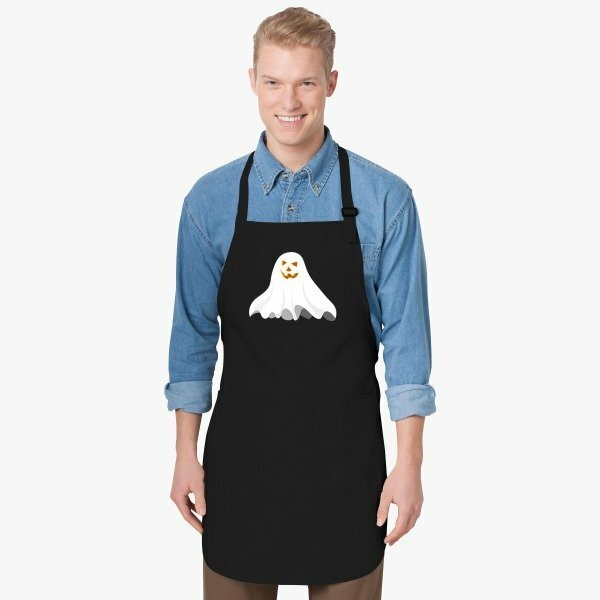 Halloween Apron has a soil release finish and is made of 7-ounce,100% cotton twill with a soil-release finish for added stain protection. It has two waist-level patch pockets, pen pocket, 1-inch wide neck and waist ties, adjustable neck strap. Measures are 22″w x 30″l. 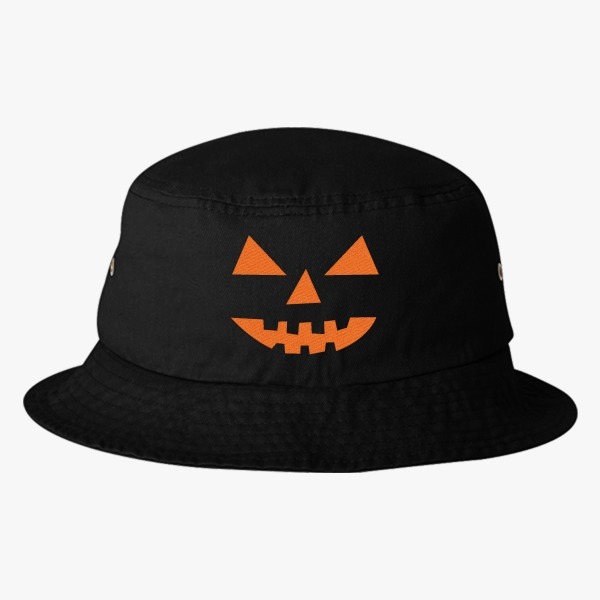 Jack O’ Lantern Pumpkin Halloween Bucket Hat will keep your boyfriend warm, comfortable, and stylish. You can pick the best hair-rising t-shirt for your neighbor or a coworker. Choose the most frightening hoodie for you and surprise your girlfriend with a “Keep Calm and Happy Halloween” tank top. You can even make your baby giggle with a funny-cutie-creepy-tiny onesie. Not sure that you’ll make it? Try! Choose from our wide range of styles, sizes, and colors to find the perfect Halloween gift ideas. We think that this Halloween 2017 supernatural experience should be comfortable for the best possible results and effects. This is why we invite you to browse and shop our Halloween gift ideas for your dark and mystic party needs! Don’t let your Halloween outfit be the biggest nightmare of this 2017 Halloween! 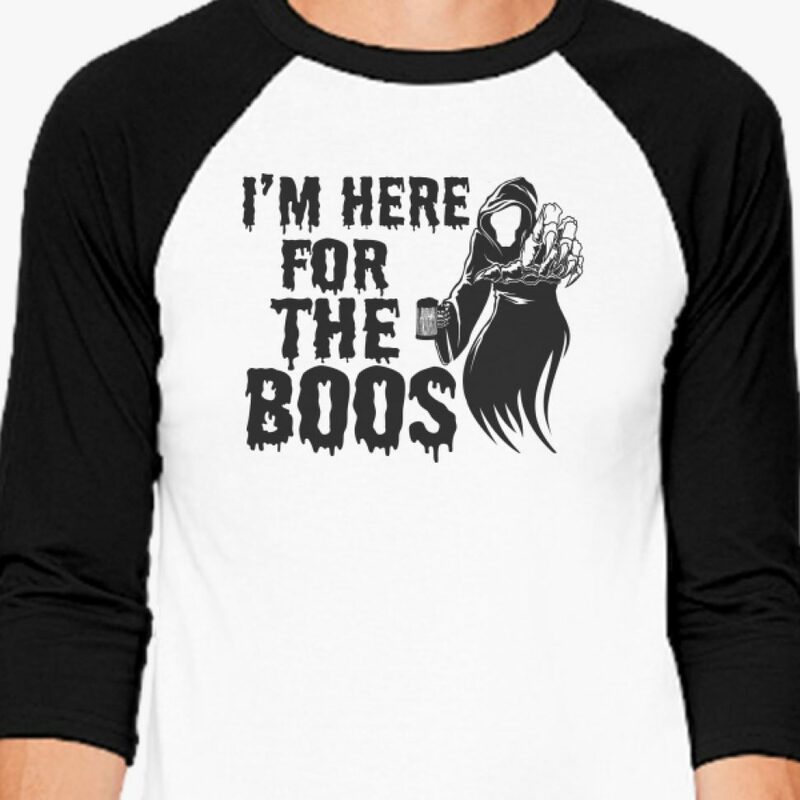 Whether you decide to scare the hell out of your friends and family by popping out of the dark corner or by telling them scary stories, make sure to add a subtle touch to your Halloween outfit with our custom apparel Halloween products. Surprise your friends and family with fun and unique Halloween gifts. Help them express their Halloween spirit! 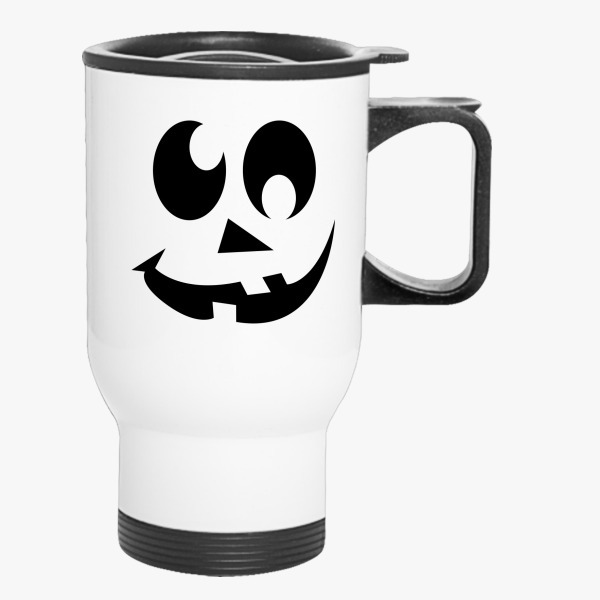 Designed for amusement and fun, made to last way beyond Halloween for many years, and available in a wide range of sizes and colors, our Halloween gift ideas are one of the best ways to surprise people you care about! Remember that we need 1 – 2 days to ship your order, so plan your surprise on time. We give a 30-day money back guarantee and we guarantee the highest quality of our products. All are designed, produced, and printed in-house, in the U.S.
Go on, spread some spooky and creepy Halloween holiday happiness, and shop the best Halloween gifts! 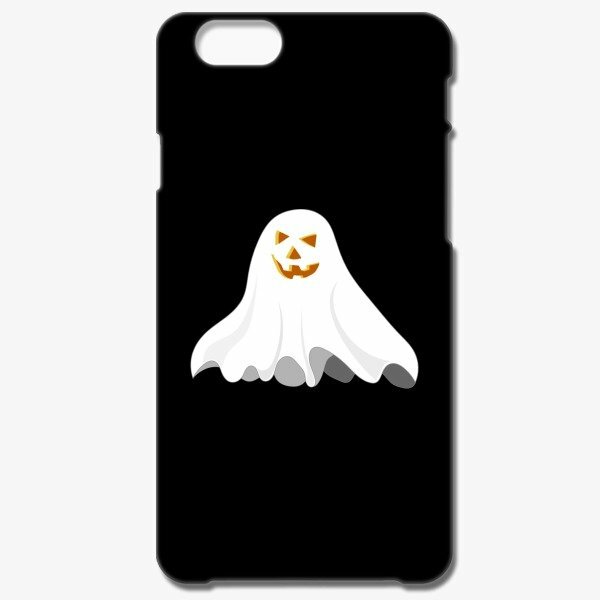 Find all Halloween Designs on Shop Halloween.